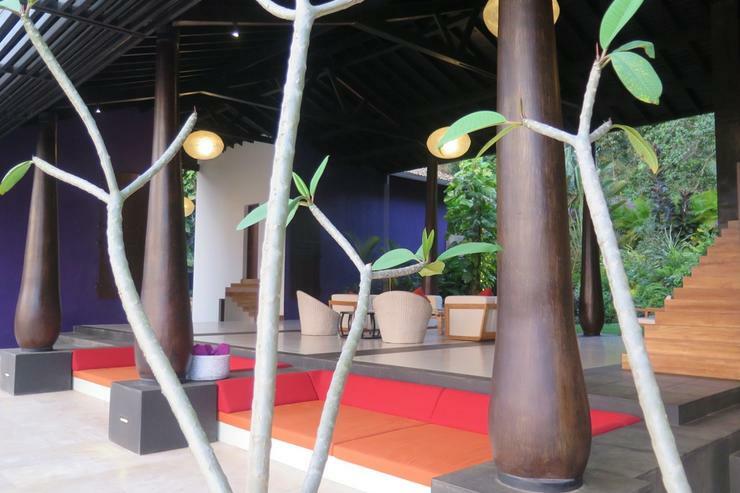 *If your booking is made more than 30 days prior to the arrival date, a 50% non-refundable deposit is required to secure the booking. 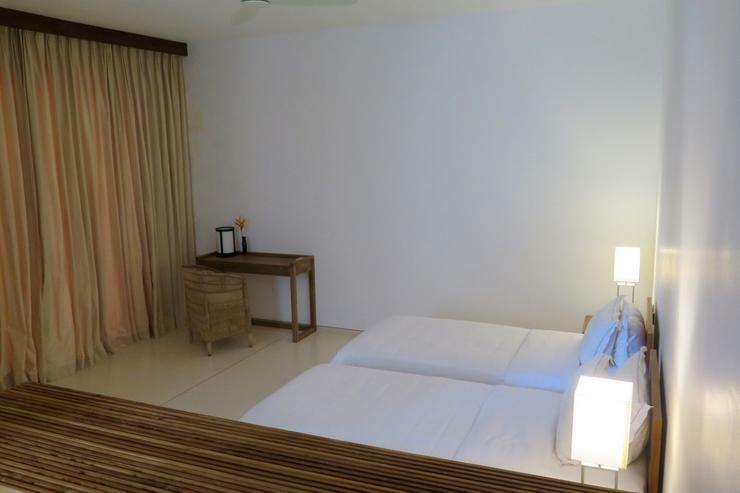 Until such time as the 50% booking is paid we will be unable to guarantee the booking on your behalf. 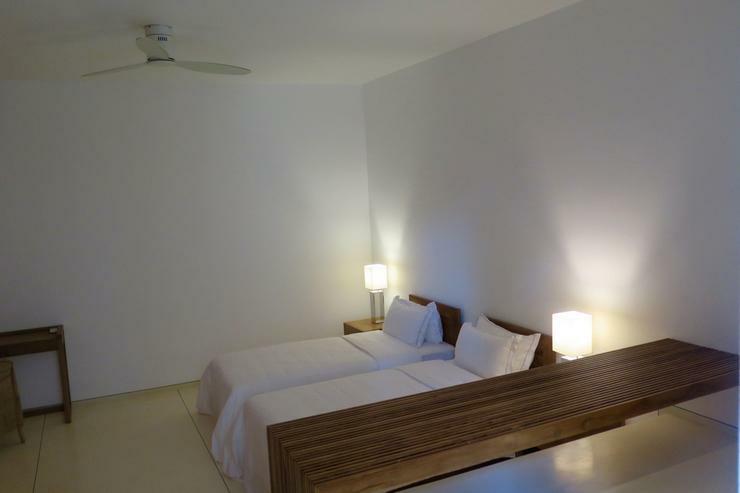 *If you book your stay within 30 days of your arrival date, you are required to pay the full price of the property rental. 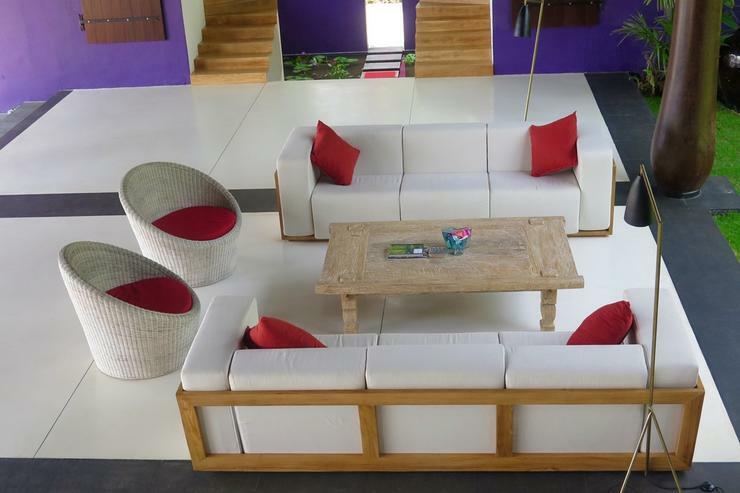 *After paying the 50% deposit; should you fail to pay the balance of 50% 30 days prior to your arrival-date, we reserve the right to cancel the booking subject to our cancellation charges. 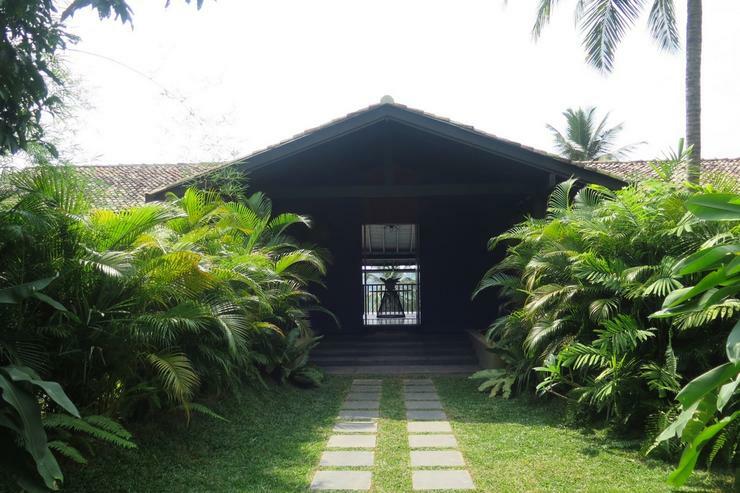 LankaRealEstate.com (Pvt) Ltd. will not be held responsible for your failure to do so. 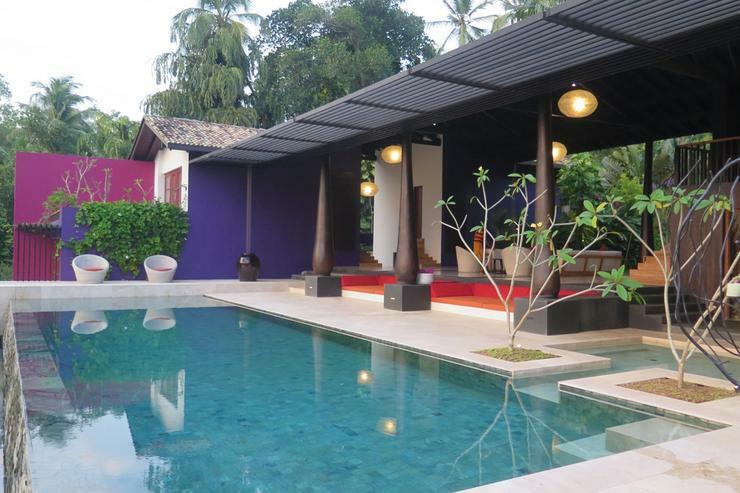 *Payments are to be made in UK Sterling, US dollars or Sri lankan Rupees. 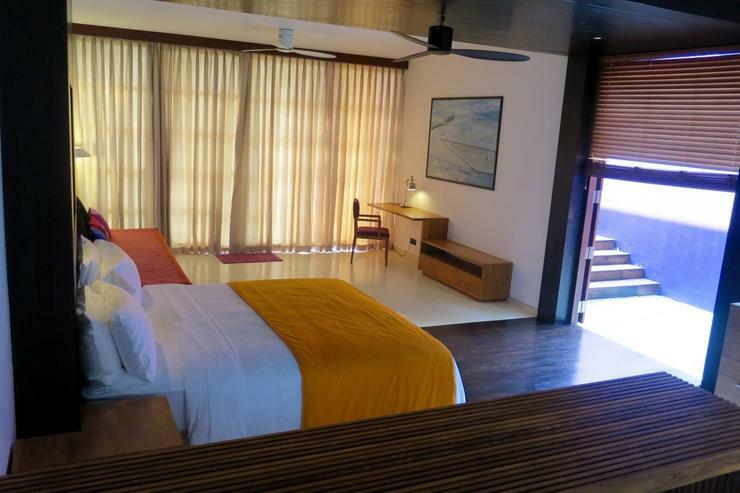 A pre-agreed exchange rate must be made with LankaRealEstate.com (Pvt) Ltd. We do not accept credit card bookings. 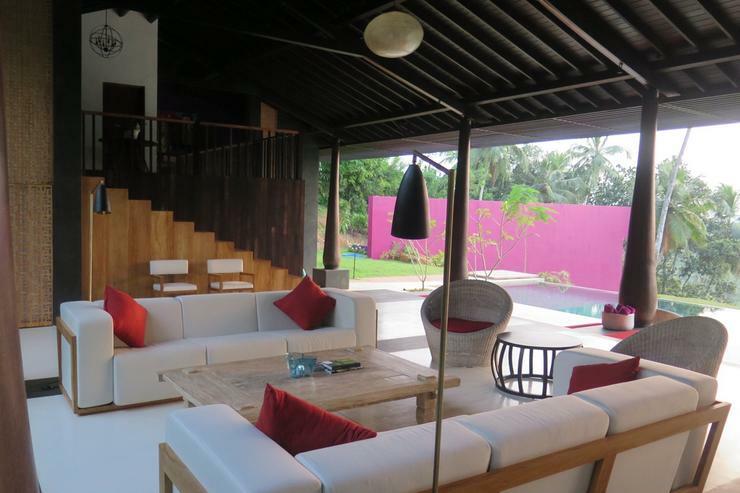 Four bedrooms, a kitchen and dining room, and two further living rooms branch off from the main space. 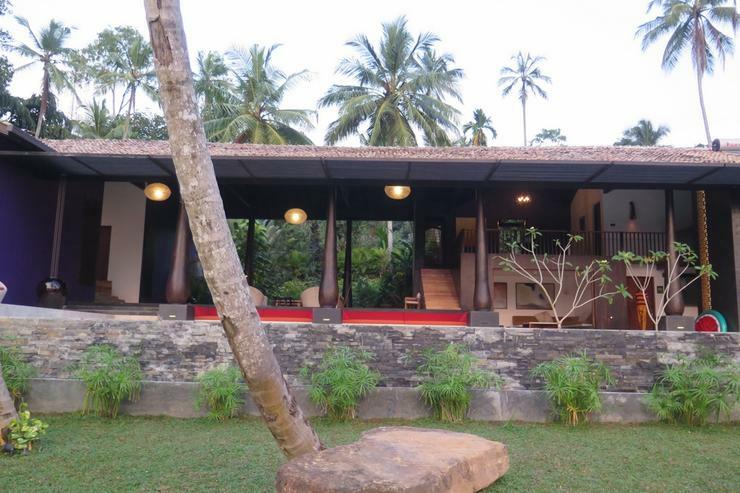 In addition there is a fifth ‘Pavilion” bedroom in the garden. 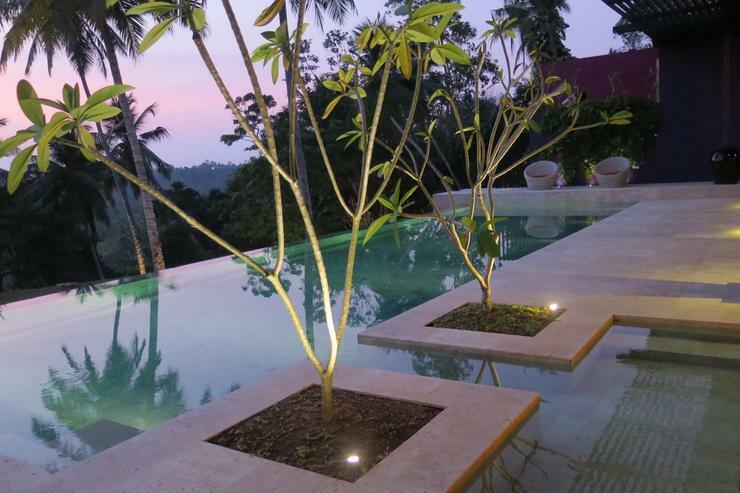 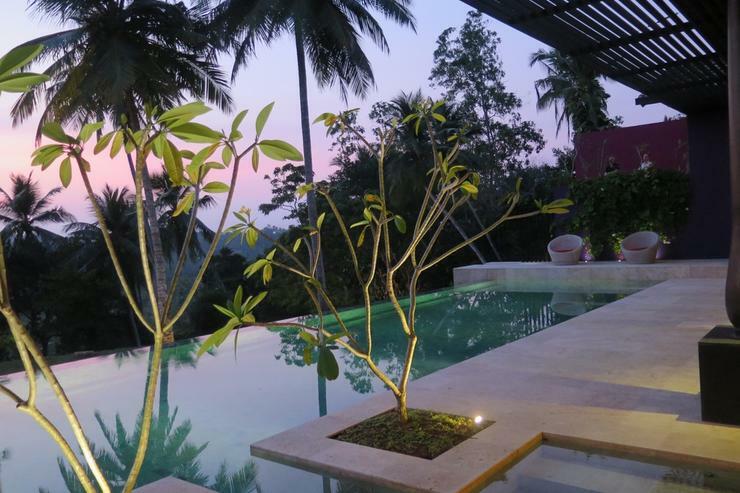 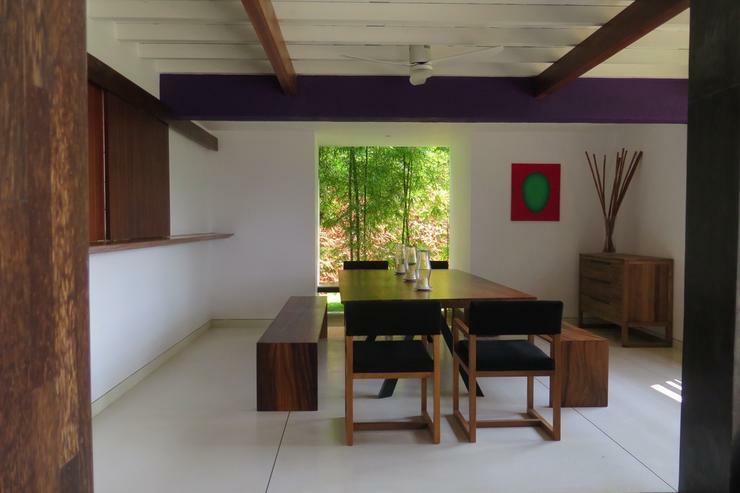 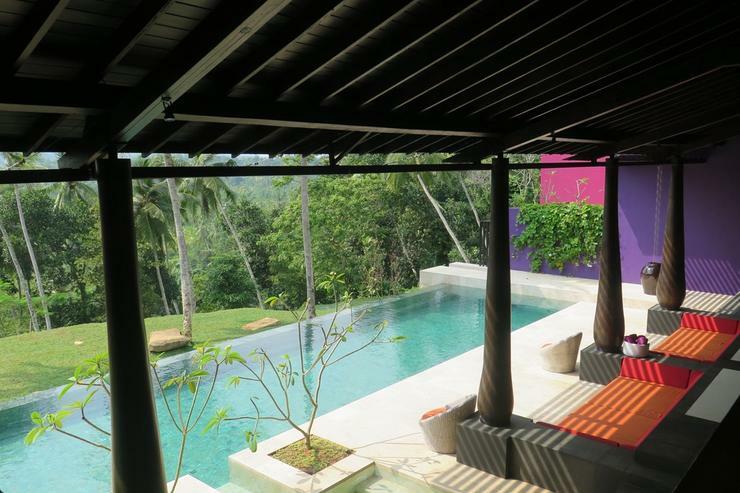 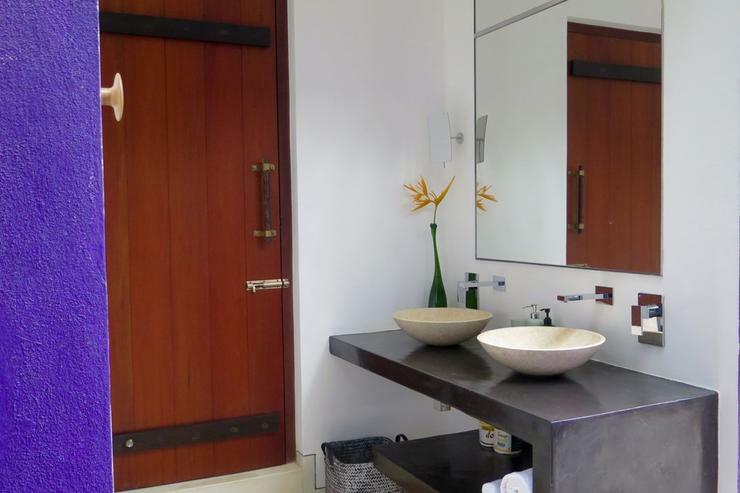 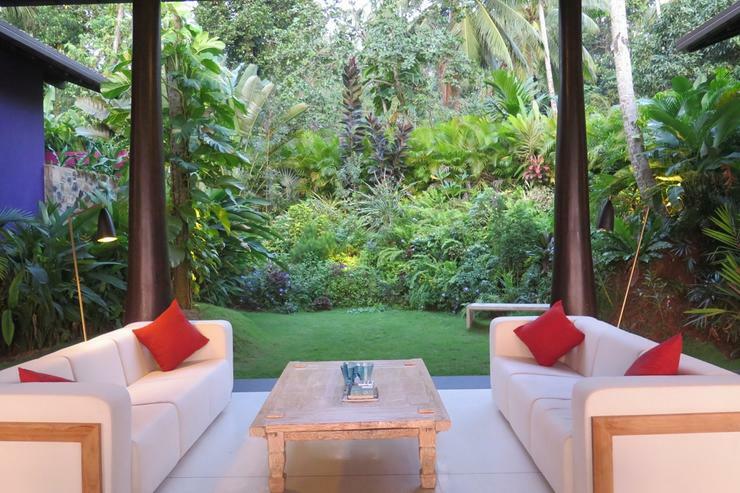 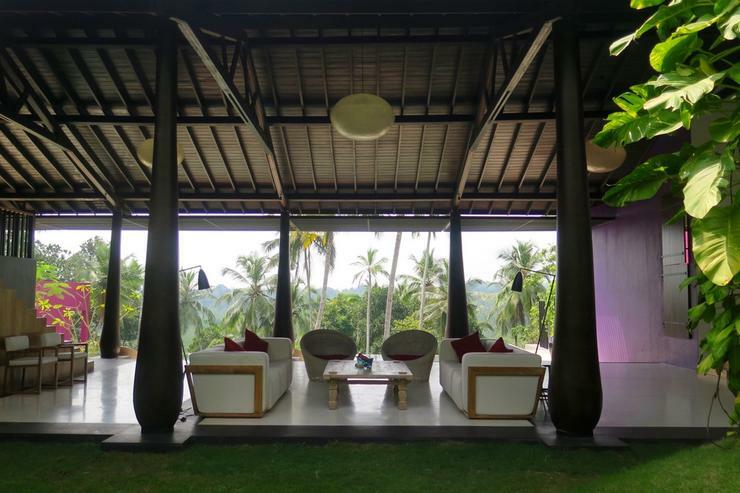 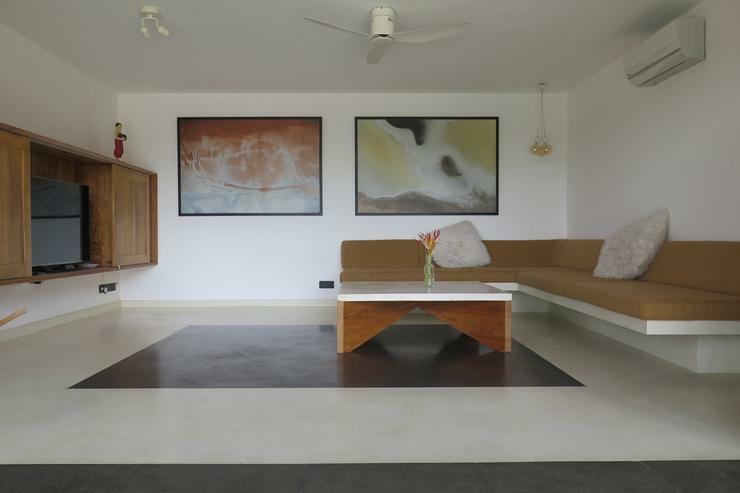 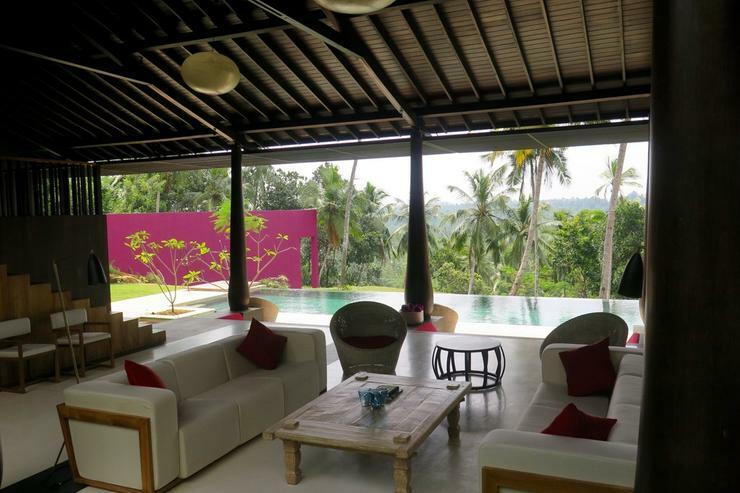 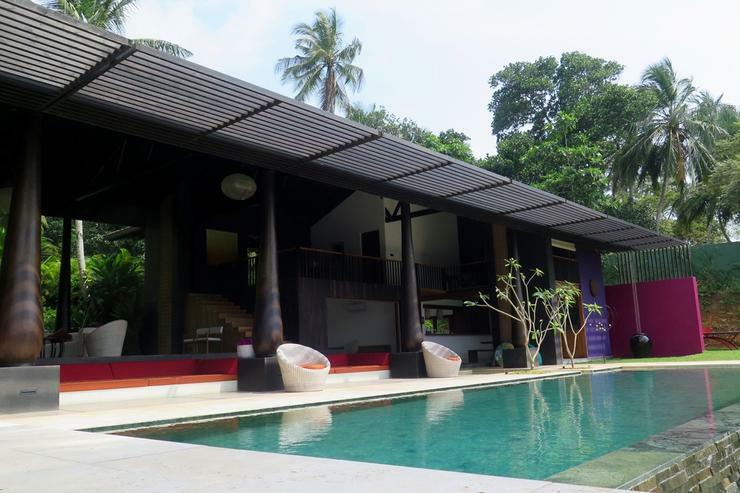 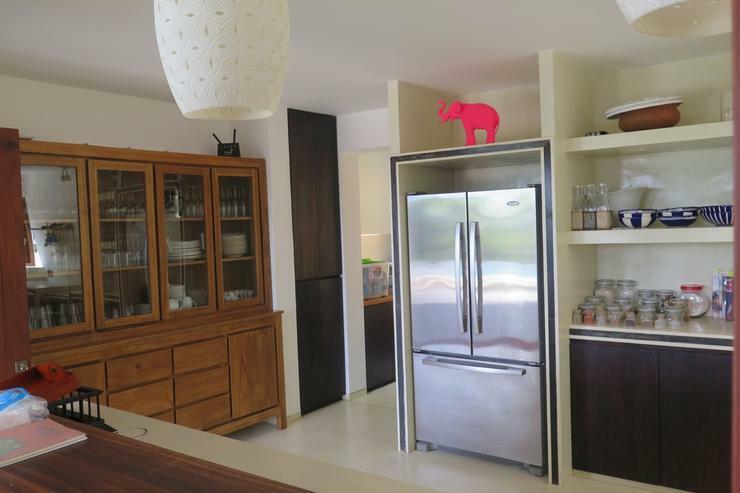 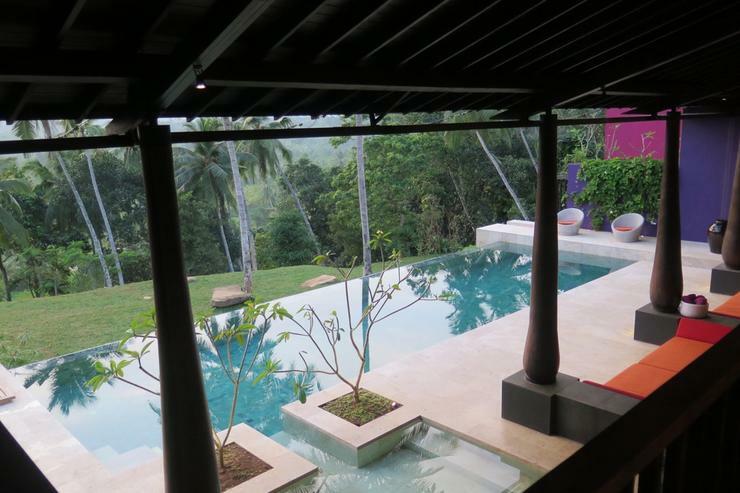 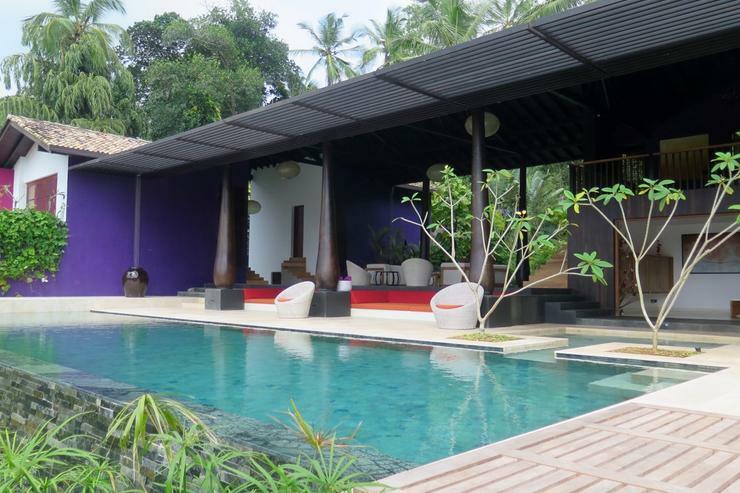 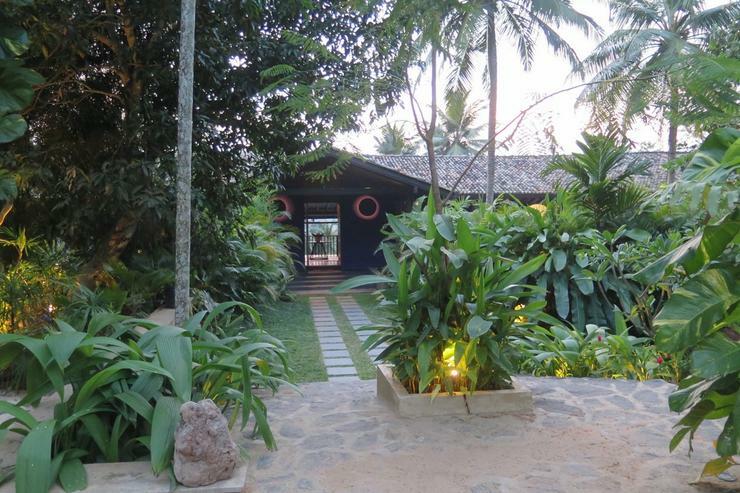 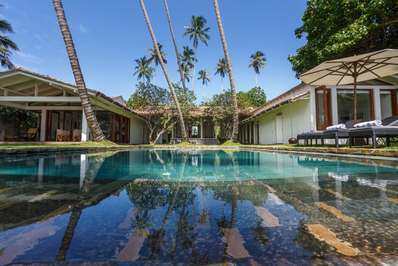 Cool and breezy, this house is an oasis of green and calm, away from the bustle and sea-spray of neighbouring Galle Fort and nearby beaches – all of which can all be reached in a few minutes by our in-house Tuk Tuk. 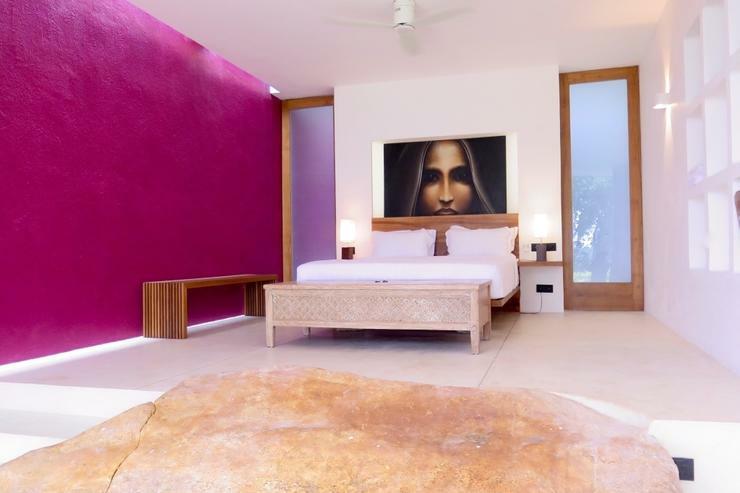 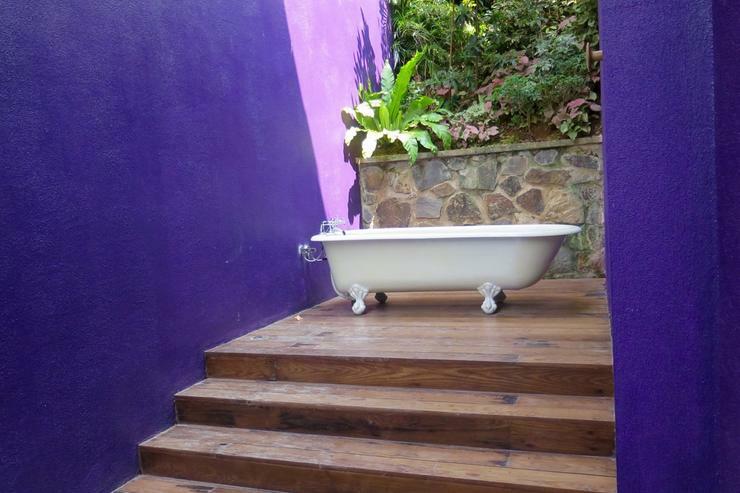 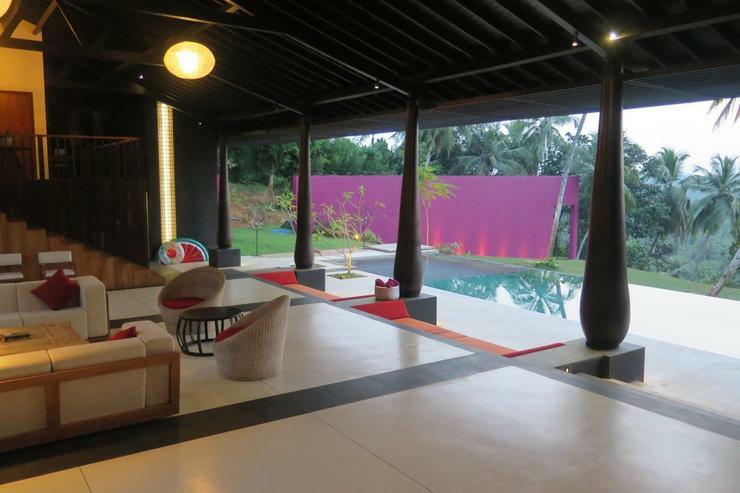 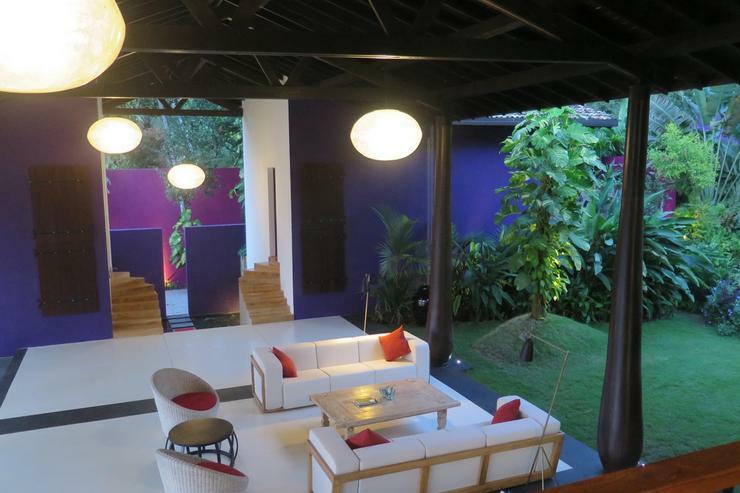 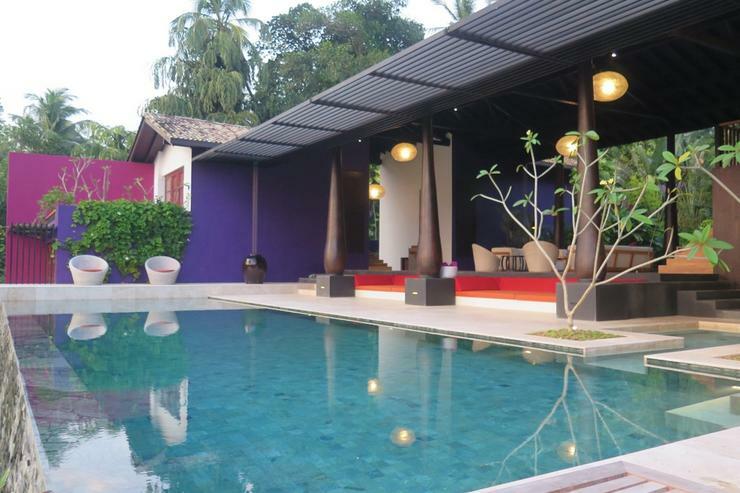 A sumptuous abode bedecked in pink and purple, this home style can best be described as Bold Contemporary Tropical! 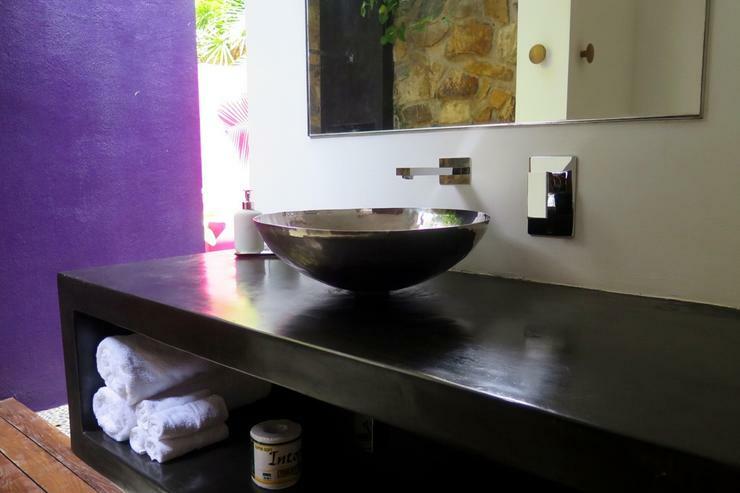 Much time and care has been spent in creating all the furniture and fittings on site and by hand, with local craftsmen. 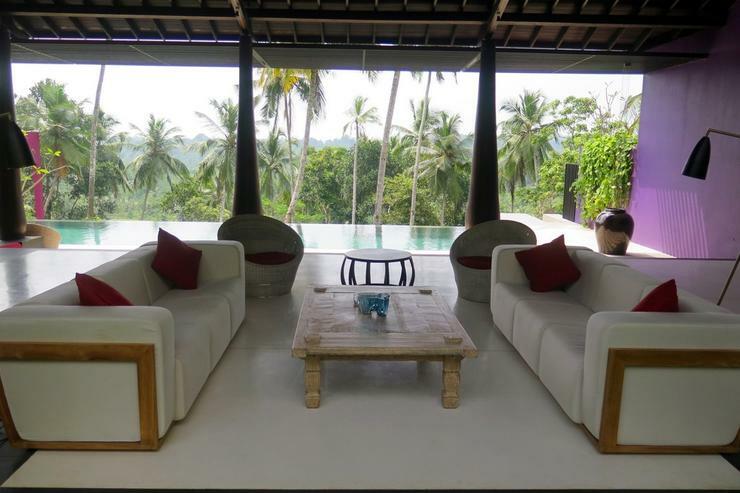 It’s a quirky, opulent experience living here, and unlike any other villa in Sri Lanka, so look at all the pictures and read all the blurb and if it still takes your fancy we are sure you will be impressed with the real thing. 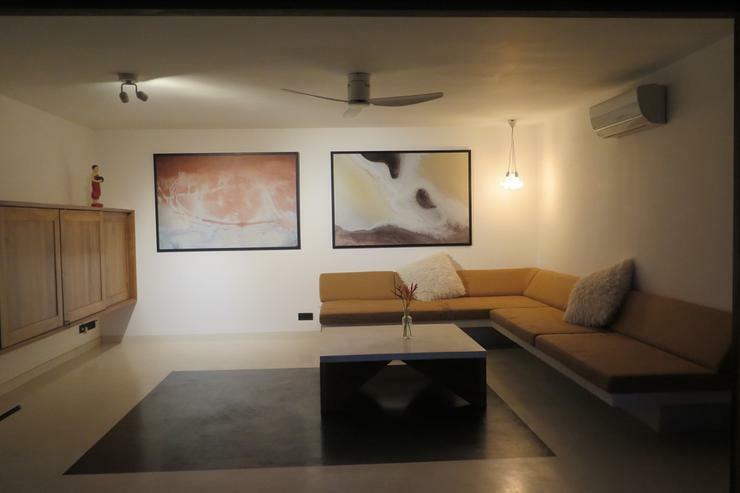 Made and offered with love from Giles, Ivan, Mala and Anthe and all those who helped contribute to the creation of this ‘Court of the Crimson King’! 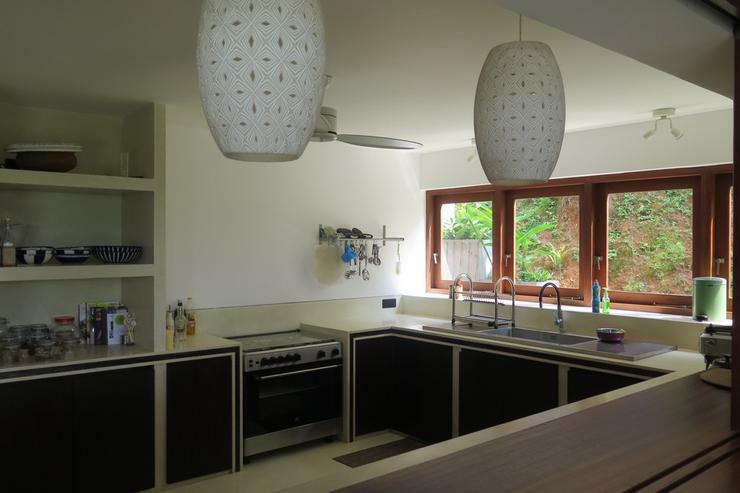 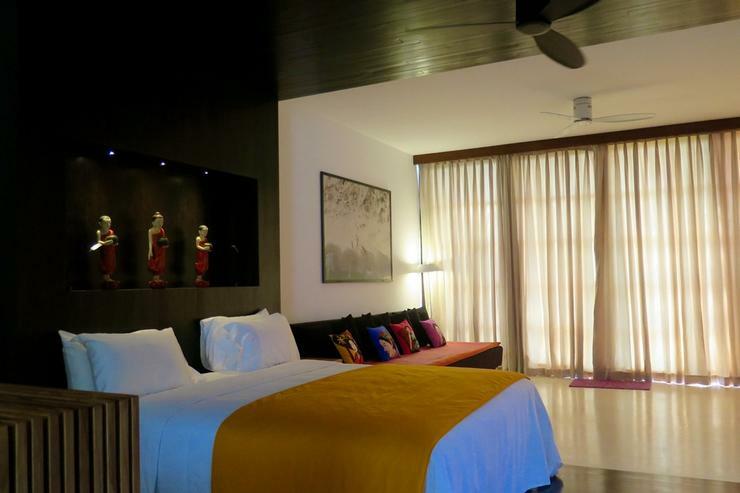 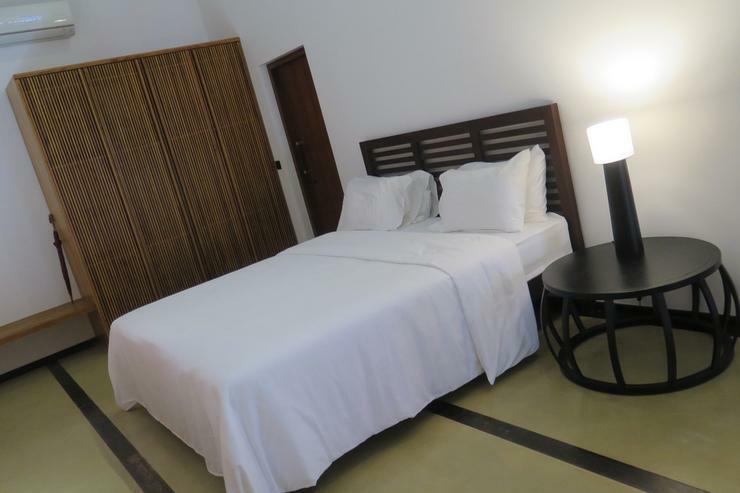 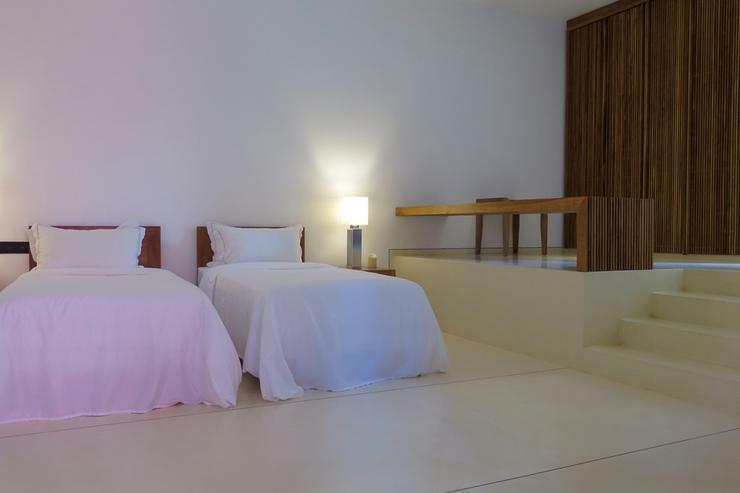 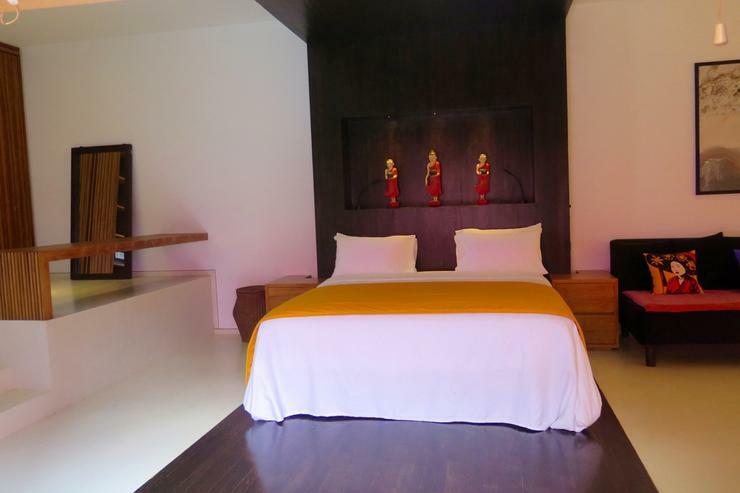 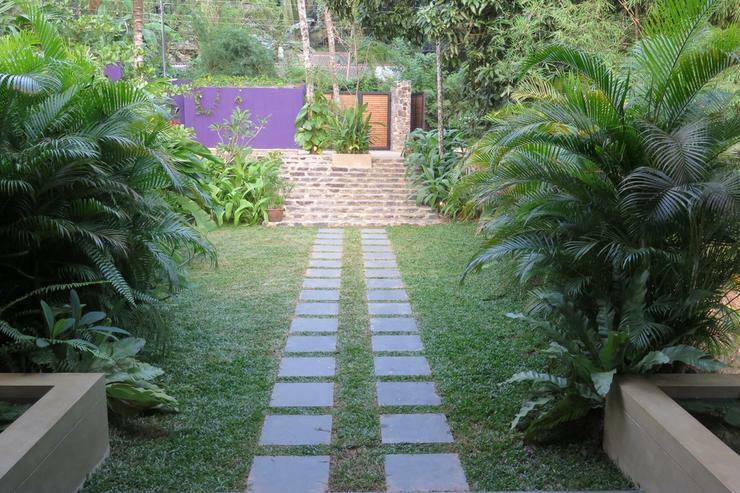 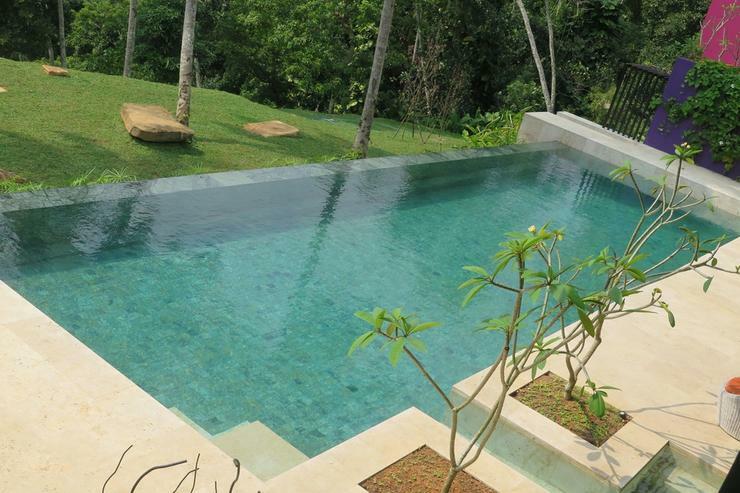 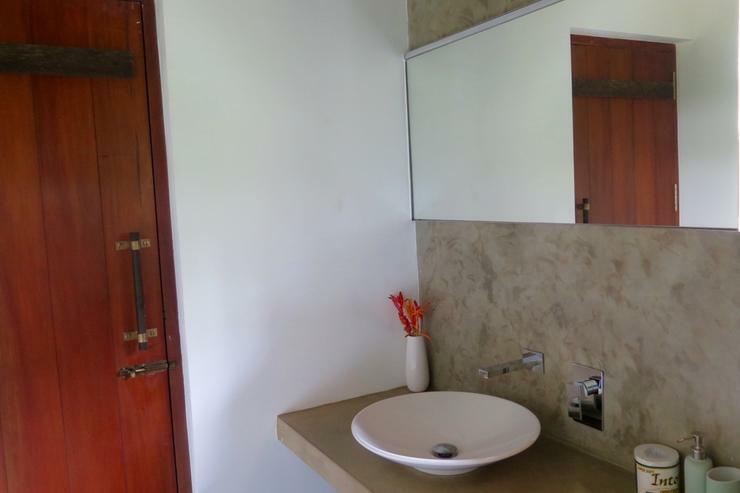 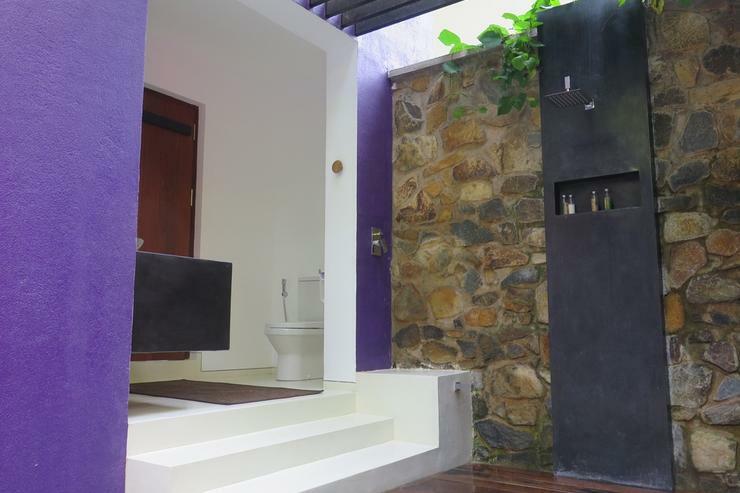 Located in Talpe, Galle and surroundings. 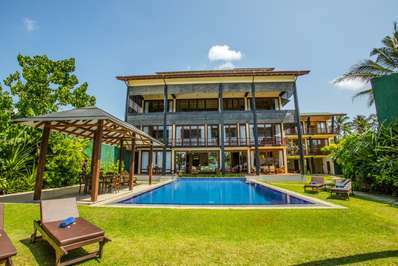 Villa Victoria is a in Sri Lanka.